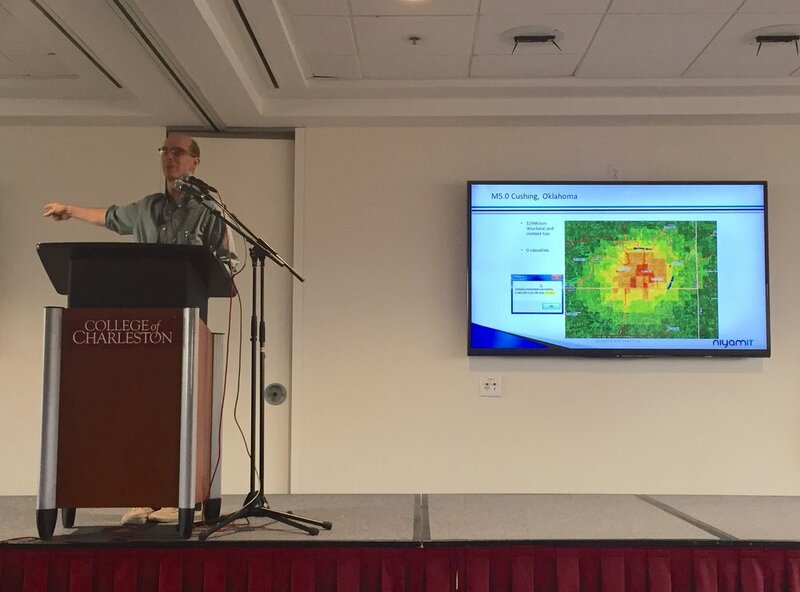 NiyamIT Hazus team presents the latest innovations in Hazus, the GIS based natural hazard analysis tool freely distributed by the Federal Emergency Management Agency (FEMA). NiyamIT Hazus team, in collaboration with IBM, is actively involved in modernizing Hazus, that was developed more than 15 years ago. Over the years, Geographic Information systems (GIS) technology has thrived with advancement in data collection, storage, retrieval and advanced analytics. From simply capturing and storing spatial elements, to complex analysis of multiple layers, GIS enables Hazus to combine layers of data and generate models that simulate natural hazards – in a building, neighborhood, local communities, regions, states, nations and the entire planet. Authoritative sources and scientific communities like the NOAA, USGS, USACE etc. have developed state-of-the art methods to study natural hazards. These methods generate invaluable data that helps estimation of losses more accurately, in the event of a natural hazard. Near real time shakemaps, newer SLOSH basins, sophisticated riverine models and new ground motion models have opened newer detailed vistas for loss estimations. At NiyamIT, we combine deep domain knowledge with cutting edge technical expertise and right methodologies that infuse continuous improvements. Our focus areas for Hazus modernization a.k.a improvement are enhancement of hazard data, inventory data and incorporation of latest versions of ArcGIS, the GIS tool from Esri. Our Hazus modernization effort is a fusion of the best of technology with the best of data to make informed decisions when disaster strikes. Because what we cannot change, we stay prepared.